Most watch owners are content to keep their watches just the way they are when they buy them. Many of us enjoy switching things up a bit with different straps, bracelets, and buckles. And then, there are the modders. These folks see a watch and think, "that's nice, but if I modified a part or two, it could be a little better..." Chris Vail of Lew & Huey has heard the call of the modders and answered with a limited run of modular components; factory-fresh parts to create your very own customized Cerberus or Orthos. It all started with the Orthos prototypes, which had red or blue dials. On the first try, the factory got the blue, producing more of an indigo than a true blue. Chris posted pictures and soon the "blurple" dial had garnered its own legion of fans. 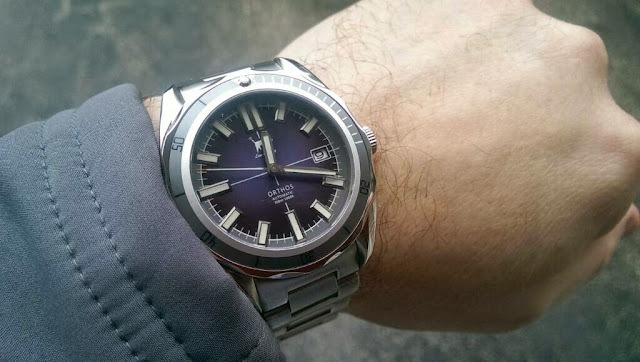 Later on, he put the burple dial in a gray bezel Orthos, creating his own custom mod, and the calls grew louder. 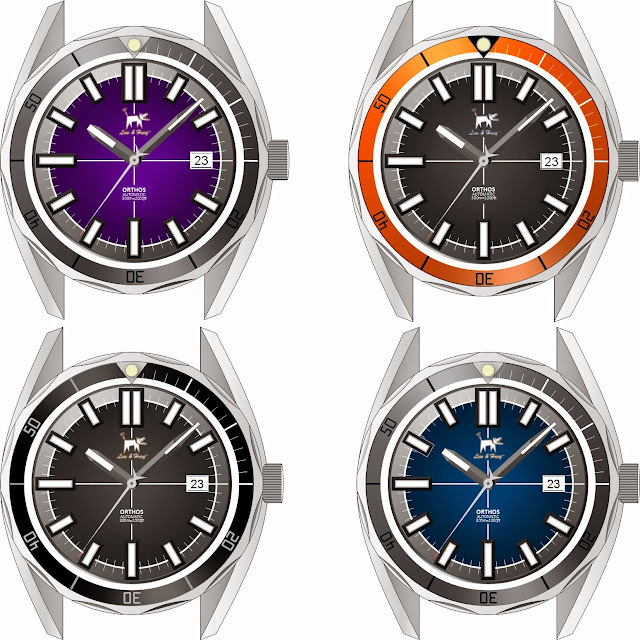 As Chris says, "Once they saw its awesomeness, they all started pestering me to make more blurple dials, and because they don't really care about my sanity, they asked about other colors too, plus different bezel colors. If for no other reason than to get them to stop pestering me about it, I've given in." Now, in a move that is highly uncommon, if not totally unique, he has launched a limited line of custom parts for his own line of watches, including dials and bezel inserts for the Orthos, and a black-and-stainless dial and chapter ring for the Cerberus. Buyers can perform the modifications themselves, or hire their own watchmakers to do so - at their own risk of course. Those who prefer to keep their 2-year factory warranty intact may opt to have the official Lew & Huey watchmaker do it for them. 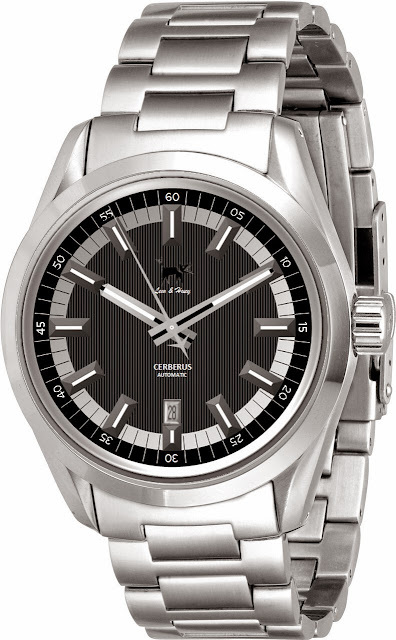 It will cost $50 minimum service to replace a dial, or $75 to replace a dial and chapter ring (Cerberus) or dial and bezel insert (Orthos). Service charges will be collected prior to installation, when parts production is completed. Only about 20-30 units of each part will be made. Orthos bezel inserts are $15 ($12 pre-order), dials are $35 ($22.50), and a full "black out" kit for the Cerebus including dial, chapter ring, and second hand is $60 ($40). It is a unique opportunity for a factory custom watch. Chris tells me that this is intended to be a one-shot deal, not a new business model. Having seen the original burple wonder in person, I can tell you the results are fabulous. If you see a custom black Cerberus or one of the 12 possible Orthos color combinations in your future, head over to LewandHuey.com for more info.